Enhance your outdoor space and cheer on your favorite team with this mailbox cover. Made of weather- and fade-resistant applique fabric, the design is backed with embedded magnets for security. A generous latch and flag opening is provided for your convenience. The cover clings to your mailbox in a snap and fits all standard-sized mailboxes. The Size is: 18"x21". 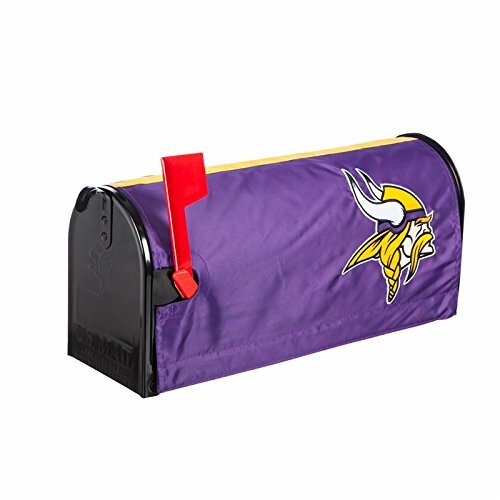 you could choose Not To Customize or Customize for your mailbox Cover. If you have any questions about this product by Ashley Gifts, contact us by completing and submitting the form below. If you are looking for a specif part number, please include it with your message.